Official reports from the state of Kansas come out in September, so let’s reflect on 2015! With a 52% increase in crowing surveys and a healthy 70% increase in brood surveys the 2015-16 Kansas hunting season was a phenomenal success! Due to the increase in cover and CRP, the habitat and numbers look to be just as promising this year down in Kinsley Kansas & 10 Gauge Outfitters. In addition to strong pheasant numbers for the upcoming 2016 pheasant hunting season, we have a good population of quail available for afternoon hunting. 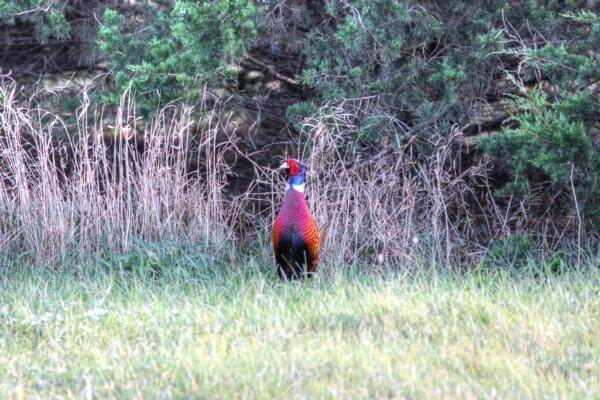 At 10 Gauge Outfitters we’re surrounded by farmland and open plains which our upland game thrive upon. When you go hunting with us, you’re not only getting a great hunt, you’re getting away from the office! Spend the mornings shooting all the pheasant you can handle, and evenings kicking back around the campfire telling stories of great shots or the ones that got away. 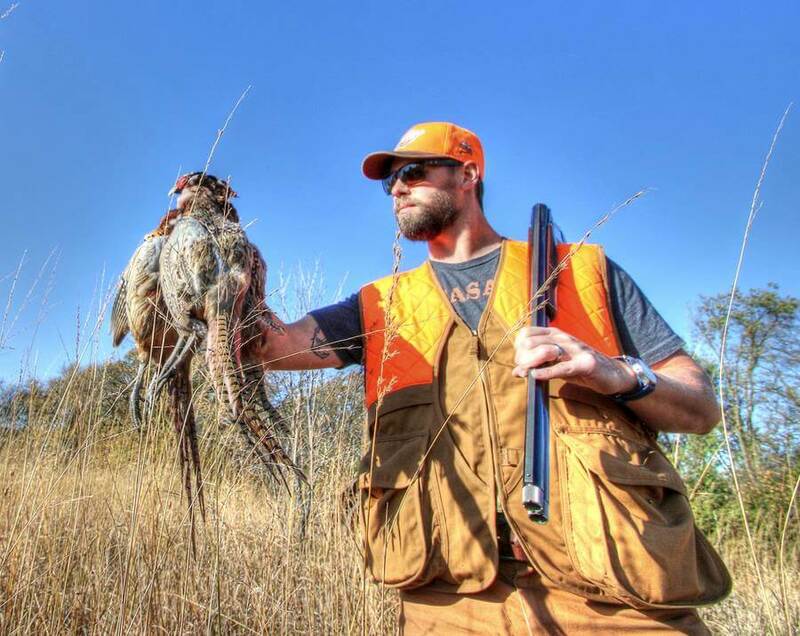 Fill Your New YETI Cooler with a Limit of Pheasants in Kansas! That’s right, you get a free YETI Cooler with the booking of your 2016-17 Kansas Pheasant Hunt here at 10 Gauge Outfitters. Shoot your limit, pack them on ice, and send them home in the best cooler available on the market! Now is the time to take advantage of this great opportunity 10 Gauge Outfitters is providing for its pheasant hunting clients. Even though we tend to fill up our hunts every year, we are running a customer appreciation promotion that gives our Kansas pheasant hunters an opportunity to pack their birds up in the nation’s best coolers. Book your 2016-17 Pheasant Hunt before October 1st, and every hunter will receive their choice of a Yeti cooler. Choose from the Yeti Hopper 20 or the Yeti Tundra 35; both quality coolers that are well known to keep their contents cold. This promotion is a limited time offer and will be gone before you know it! BOOK a hunt by OCT 1st for a YETI COOLER! Are you a die hard upland game hunter? Are you up for a challenge? Tag team your your Pheasant Hunt here at 10 Gauge Outfitters with a Quail Hunt. After you bag your limit of pheasants in the morning or mid-afternoon, get some more time in the field with Tim and the dogs with a relaxing afternoon Quail Hunt! 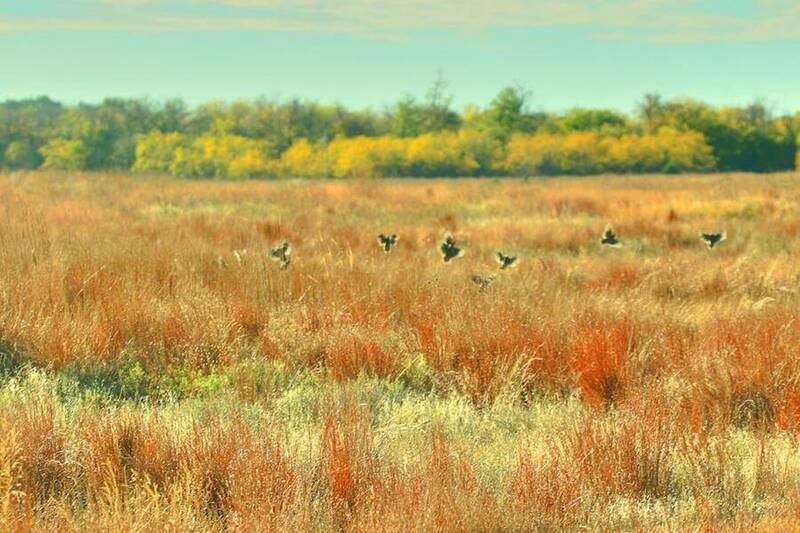 Quail Hunts can be added to any 10 Gauge Outfitters’ Pheasant Hunting package. Please contact us for more details on how to bundle your Kansas Pheasant Hunt with a Quail Hunt! The Deer Are Getting MASSive! The photo above was taken just a few weeks ago from one of our feeder cams! 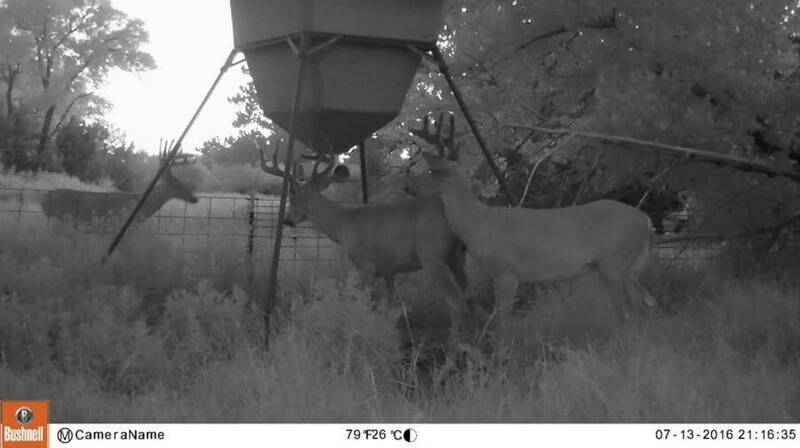 This might be the year for some MASSive trophy Whitetails at 10 Gauge Outfitters. If you were one of the lucky hunters that drew for a 2016 Whitetail tag, look no further and book your hunt with us. 2016 will be one for the record books with trophy Whitetails! Even with highly successful kill rates, 10 Gauge Outfitters still has limited Whitetail Hunts for both the Muzzle-loader and Archery seasons available! Please arrive the afternoon before your hunt in Kinsley, KS and you will depart the evening of the last day of hunting. However, you can stay additional nights for an additional fee. Coyote hunting as also an option (additional fee applies).